Lately, I’ve been repurposing my jean jacket over and over again with various outfits. 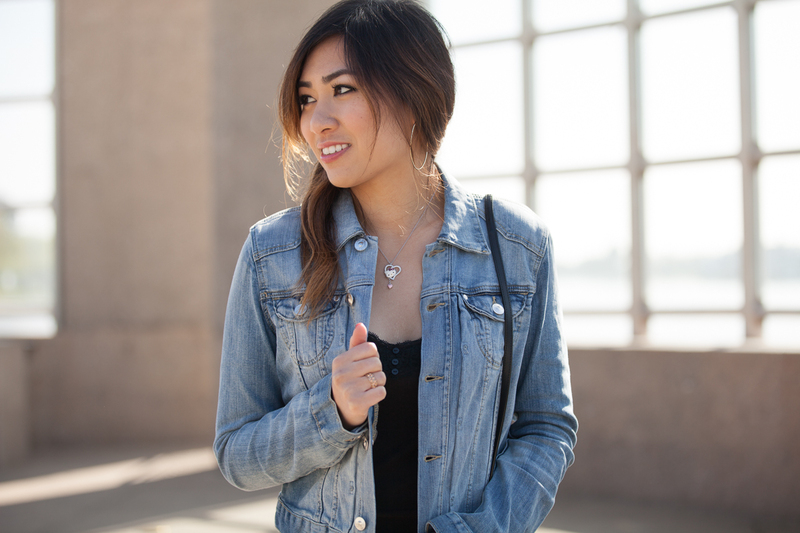 I’ve like the jean jacket even before the trend started, but have been maximizing its use since the trend took off. Today, I’ve paired the jean jacket with a casual black tank and some crazy, grandma’s couch patterned floral pants along with some black pumps to sophisticate this look. 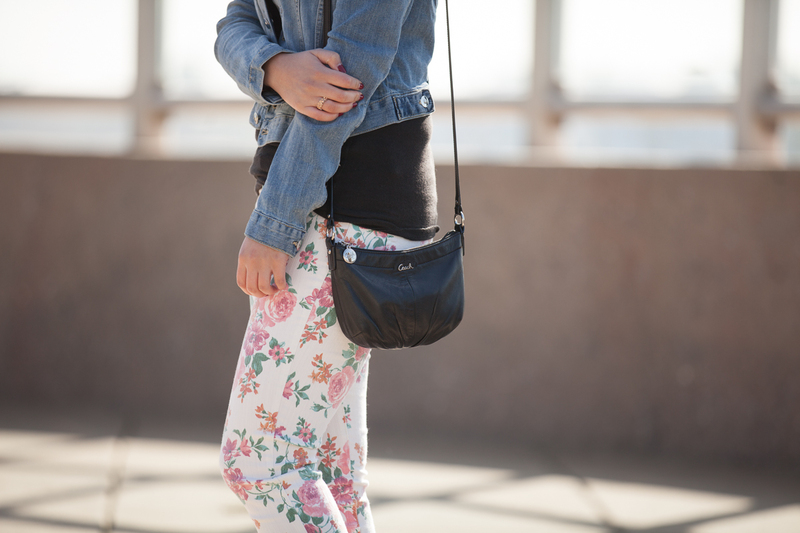 Honestly, I think it’s quite difficult to pair anything with these floral pants. But I found that these kinds of pants would look great with a top that doesn’t have any patterns on it (solid color) so I paired it with a black tank and matching black pumps. The jean jacket gives this look a casual feel, as well as some structure. Without it, the tank and floral pants can create a “pajamas” feel. Add on some hoop earrings and a sleek, cross-body purse, and you’re ready to go out for a brunch or lunch date with the girlies.